The recall, which affects nearly 300 vehicles, is due to potential turbine wheel fracture problems. Porsche has announced the recall of 270 model year 2011 to 2012 Panamera Turbo and Turbo S fastbacks, as well as the model year 2012 Cayenne Turbo crossovers. The recall is due to the potential fracture of the vehicle’s turbine wheel. If said fracture occurs the vehicle’s performance may be in inhibited and in some cases, the turbine shaft may break. A cracked turbine shaft will result in oil leaking into the exhaust system, which may increase the likelihood of a crash, according to the National Highway Traffic Safety Administration. Porsche will begin notifying customers of the recall later this month. Owners of affected vehicles will receive new turbine wheels, free of charge. Meanwhile, concerned customers can contact Porsche at 1-800-767-7243. Panamera and Cayenne drivers may also contact the NHTSA Vehicle Safety Hotline at 1-888-327-4236 or go to www.safercar.gov. The NHTSA Campaign ID Number is 12V329000. Back in February, Porsche recalled over 20,000 model year 2011 and 2012 Cayenne models as the result of a headlight detachment issue. NHTSA documents indicate that the vehicle’s headlights may disengage from the fender, thus seriously impairing nighttime driving. The NHTSA also stated that the defect involved the Cayenne’s headlamp locking assembly. One month later, Porsche issued a recall for its 911 Carrera S coupe because of potential fire hazard troubles. The fire risk was due to problems with the vehicle’s fuel line assembly. No fires have been reported in relation to the recall, according to Porsche. In total, 1,232 units were affected. As for the vehicle’s involved with this week’s recall, the 2012 Porsche Panamera is considered one of the premiere luxury sports cars on the market today. 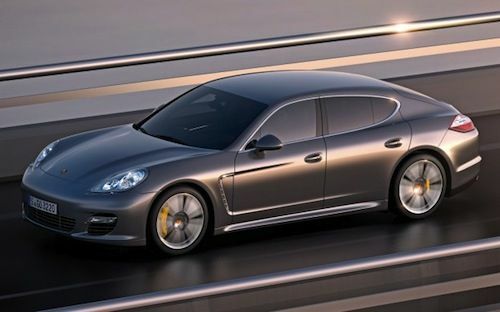 In fact, the 2012 Panamera ranks 1 out of 12 on U.S. News Rankings and Reviews’ list of Super Luxury Cars. The car earned an overall 8.7 out of 10 score, based on 23 published reviews and test-drives. Admired for its versatility, the Panamera earned praise amongst critics for its exceptional performance, spacious interior, high-grade cabin materials, and handling. Unlike the Panamera, the 2012 Porsche Cayenne did not fare as well amongst critics, according to U.S. News. The Cayenne ranks in the middle of the pack with an 8 out 19 ranking on the Luxury Midsize SUV list. The crossover did receive acclaim for its high-quality interior and performance, but lost points for its expensive optional features and confusing and cluttered instrument panel. The 2012 Cayenne managed to garner an overall 8.1 out 10 score.